Fall is here and in Orlando that means it is time for Epcot’s Food and Wine Festival! Step inside Epcot to have your taste buds blown away by all the tasty treats. 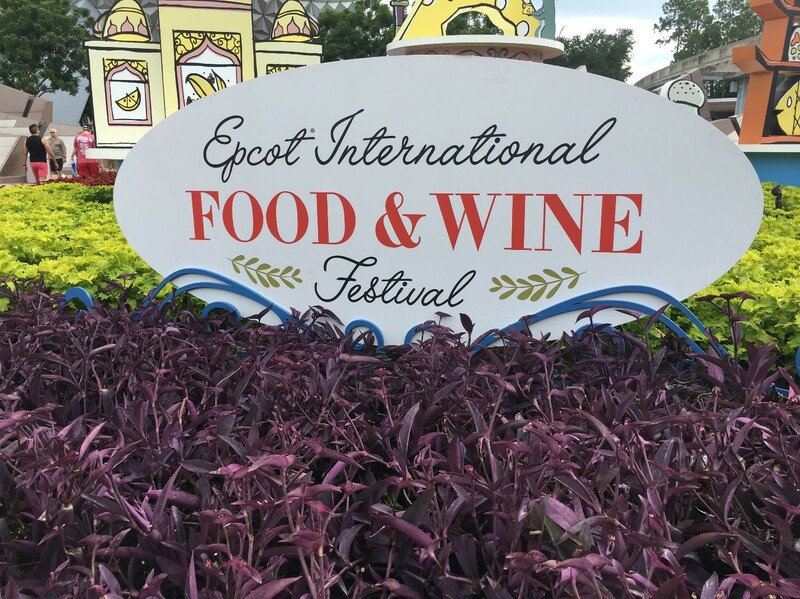 If this is your 1st trip to Epcot’s Food and Wine Festival, then you need to be prepared the heat, fun, great rides and delicious and savory eats. 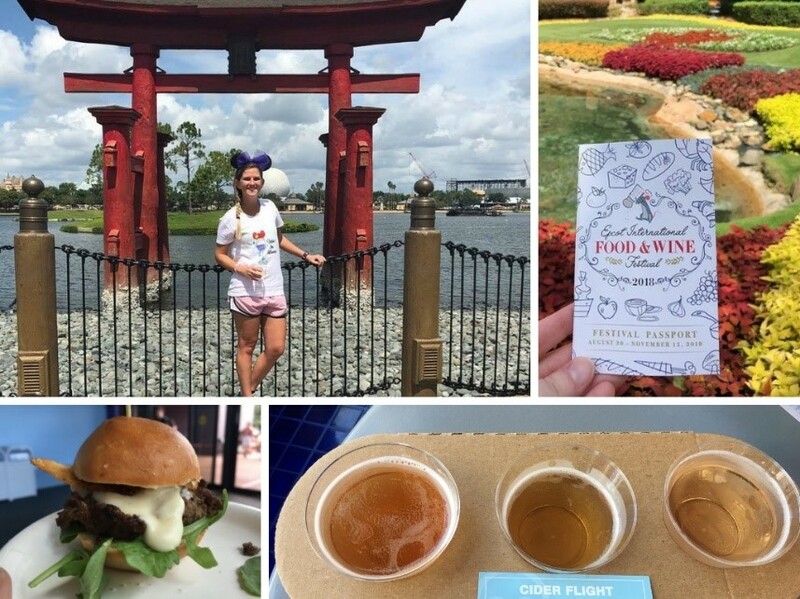 Here are a few tips to help you survive your 1st Epcot Food and Wine Festival! Epcot’s Food and Wine festival is held from August 30th- November 12th which means it is still hot, hot, hot here in Orlando. Make sure that you pack a refillable water bottle to keep your body cool and hydrated all day. This will ensure that you can hang out from park opening until closing to taste all the delicious treats that are only around for a few more weeks. Epcot is a big park itself even without the festival going on which could become chaotic if you are trying to do multiple things in one trip. At the Food and Wine Festival, you will have 22 stands that represent a different country. Each stand offers an array of traditional food and beverages from that country. In my experience, it was best for each person in the group to get one item from the country to split with everyone. This way you will still get to taste everything but not be too full that you must pass something up. Like I mentioned before it is hot out. Epcot’s 8 great rides and attractions are the perfect way to cool off, rest your feet and belly! Every ride does have the option to get fast passes for the day and take you straight to the front of the line. Around Epcot, there are different stations that you can pick up passes for your everyone in your group or you can also secure your passes online before heading to the park! This is a great event that you can try new things that you may have not even heard about from countries all over the world! If you have always been dying to try Ethiopian spicy lentils, escargot from France, Indian curry, sake from Japan, or even an Italian Bellini, this is the one place you can try it all. You do not have to worry about expense hotels and flights when we have 3 Camden Communities within 8 miles or less from Epcot. Another plus is that the small portions will not make you feel wasteful if you did like your selection - which I highly doubt will happen! As one of Camden’s Core Values, have fun, is embedded in our day to day work life and I believe must be present in all aspects of one’s life. This is my ultimate favorite thing about attending the Epcot Food and Wine Festival! You’re at Disney and you can not have a bad day going on rides, eating, drinking and hanging out with family and friends. So, get your most stylish Mickey ears ready and enjoy the Food and Wine Festival before it ends! Pick up a handy Food and Wine Festival Passport at your first station so you can check of what countries you have been to and what you tried that day. This way if you are going multiple times through the festival you can remember what you already enjoyed and what you still need to try! Epcot’s Food and Wine Festival runs until November 12th, if you live near or far, it is worth the trip! All of our communities in Orlando are only 20 -30 minute drive away, but it is worth the drive or a flight in from any Camden community! Come enjoy this whole new way of experiencing Epcot! This Blog was co-written by Rachel Anderson and Melissa Townsend. Baking With Camden – Apple Pie Done Right!